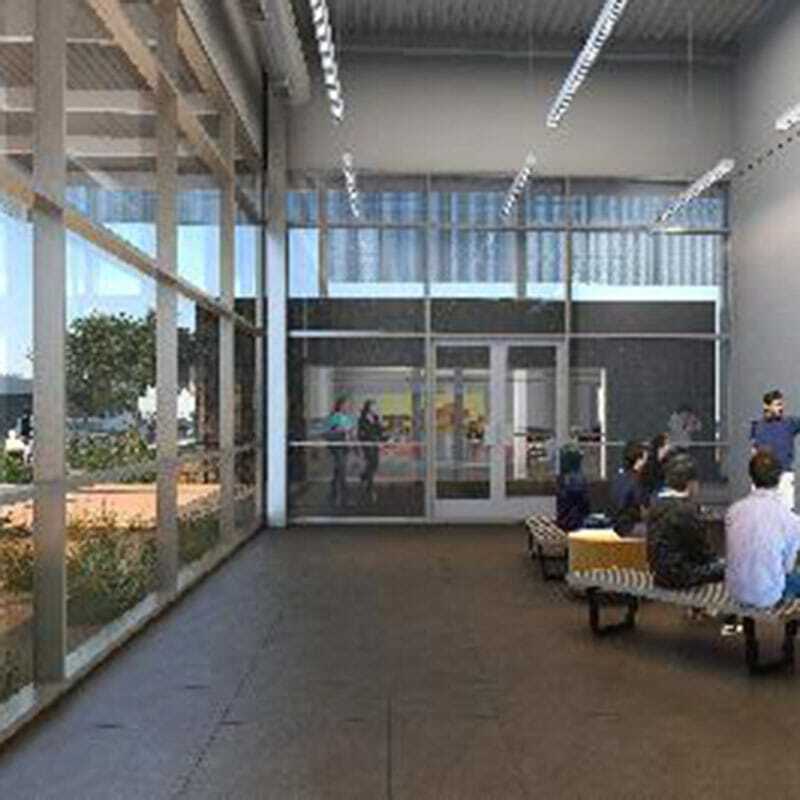 Gilbane serving as the construction manager agent, provided preconstruction services for the new Visual Arts Building at the College of Desert in Palm Desert, California. 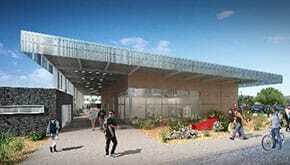 This building is the anchor of a re-conceived art district and ties the facility within the academic community. The project includes indoor and outdoor classrooms and labs, a multipurpose room for interdisciplinary classes, lectures, and exhibits as well as dedicated exhibit space. The new lab and classroom spaces for programs include; 2D drawing and painting, 3D sculpture, printmaking, ceramics, digital and print photography. The building’s most prominent feature, an aluminum perforated screen wrapping around the projecting roof, creates a canopy providing shade on four sides. The concrete and stucco exterior facade underneath the screen provides a color palette that compliments the desert and fits into the natural landscape of this 1960s campus. The color used in the interior is deliberately neutral, which is intended to emphasize and showcase the artwork on display from students. In addition to these elements, there is a sense of connection – both within the facility itself as well as with the rest of the campus. To that end, the multi-purpose room and main building have entrances directly across from one another, allowing easy access to various spaces within the facility and campus. In the preconstruction phase the Gilbane team completed a 3-D logistics plan utilizing Sketchup and Google Earth with in-house staff and were able to evaluate and visually explain conflicts to the team. One result was the need to close a fire lane and due to forecasted complications with the underground utilities that would require careful excavation to the area. The ability to use technology to visually explain this situation resulted in clear communications with the client and the reduction of a schedule conflict.